I couldn’t be more thrilled as a mom to see that my cute daughter has already picked up my love for entertaining. She did quite a lot of entertaining on her own while living in Omaha (and on a dental student income, which is basically no income). Now that she and her family are living back here I get to see it first hand and a lot of times we get to entertain together!!! 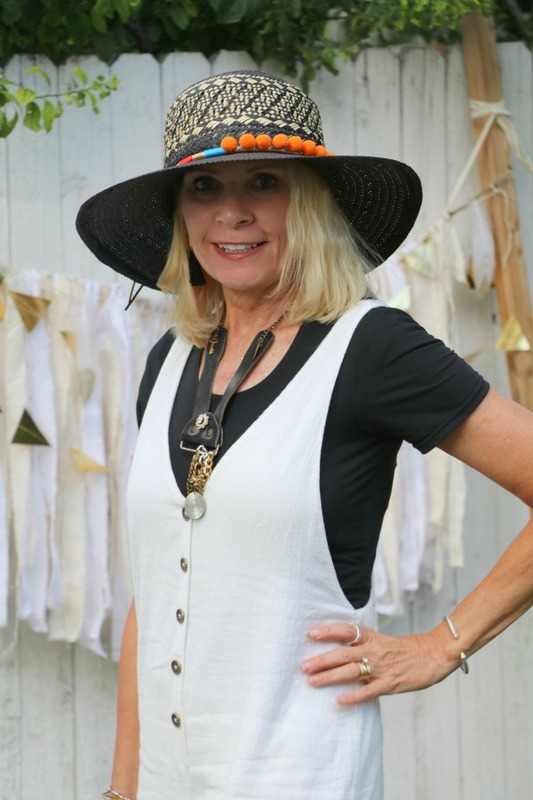 This past Saturday was one of those occasions, Tori was throwing a (bohemian) baby shower for one of her life-long friends and since it was a mother-daughter get together we decided to throw it together. All the fun details of the shower will be up on tomorrow’s blog post (I know, anticipation . . .) but it’s always fun to try and dress according to the celebration. We threw the shower in my back yard which instantly says, semi or very casual and it was a bohemian themed shower therefore it called for free and flowy attire. Tori wore her madewell skinny white jeans with a flowy light weight denim blouse (purchased at a local boutique). 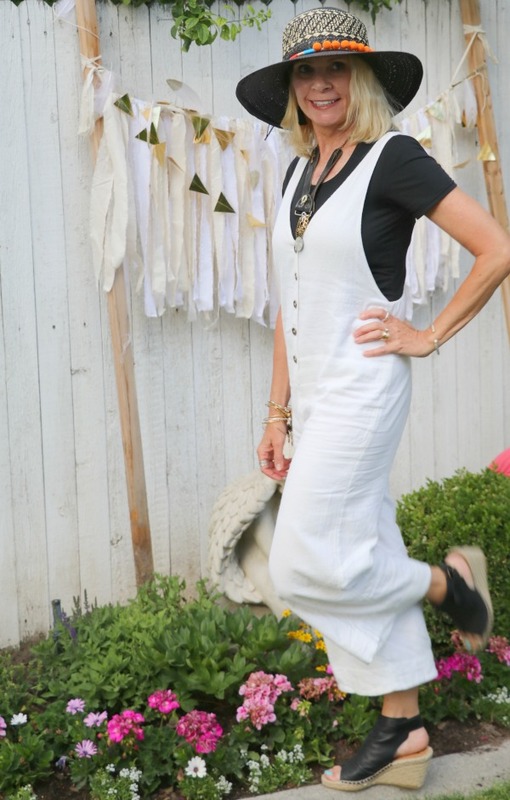 I decided on this linen jumpsuit from free people which made running around so easy. I added some wedge sandals and of course a hat (san diego hat company/ via nordstroms) because I knew I needed to keep the sun off my face as much as possible. Can’t wait to show you all the fun details tomorrow so stayed tuned my friends. Ah.. I missed this post. That is why I didn’t know for whom the baby shower was. Lookng adorable you two.